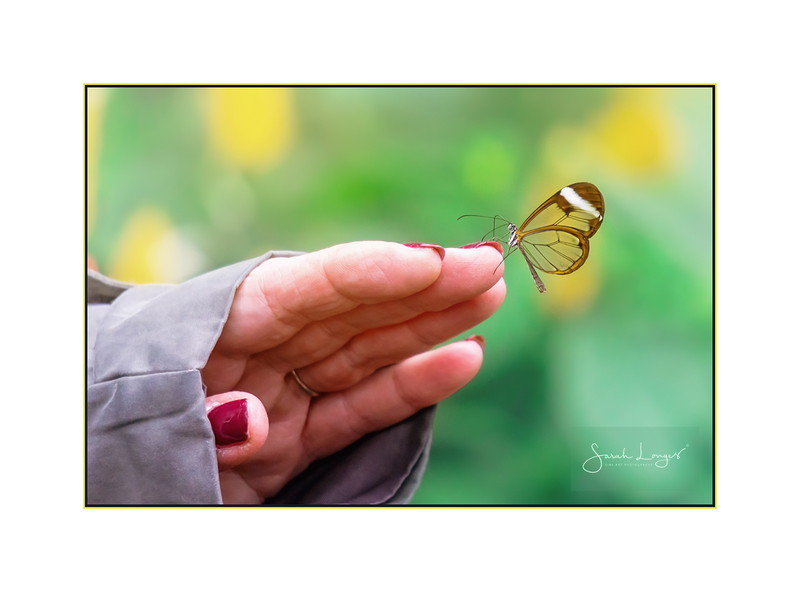 Today brought the first appearance of the wonderful but tiny Glasswing Butterfly in the exposition at RHS Wisley Gardens. The only way to photograph these wee beasties is on full manual, including manual focussing. Those wings really are completely translucent. Unlike a lovely Scarlett Swallowtail who spent quite some time flying from one visitors camera to another, (photos will be on my Facebook page early next week) this Glasswing was definitely a bit camera shy! It flew in circles around me for a while, much to the amusement of a number of watching children. It then hovered over just about every leaf on this shrub until I started to wonder if it would ever settle! You still have until March 3rd to discover the butterflies yourselves and next Friday, 1st of March is FREE entry to RHS Wisley Gardens and the The Glasshouse!